When a Kansas City Chief retires from football, they are inducted into the Ambassadors. 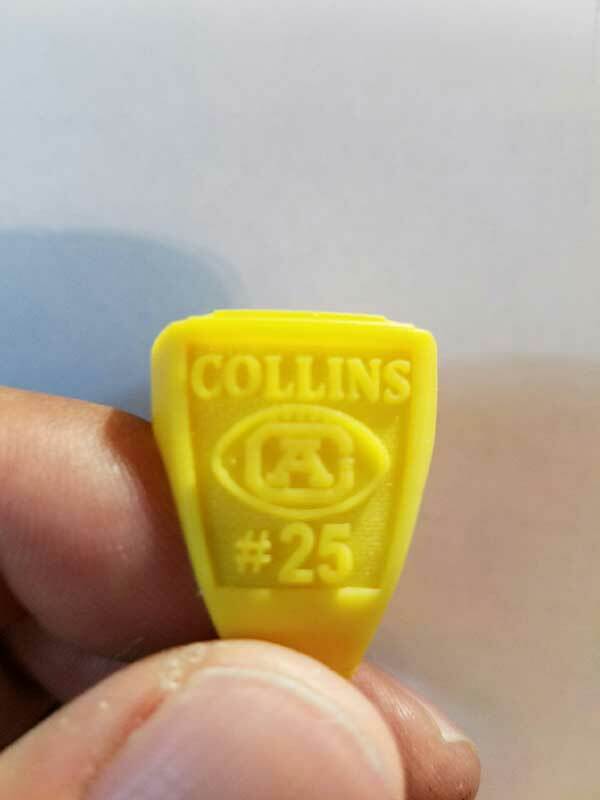 We are in the process of creating the 2016 KC Chiefs Ambassadors rings. In case you missed it, we did an in-depth story on our custom rings for the KC Chiefs Ambassadors back in 2014. 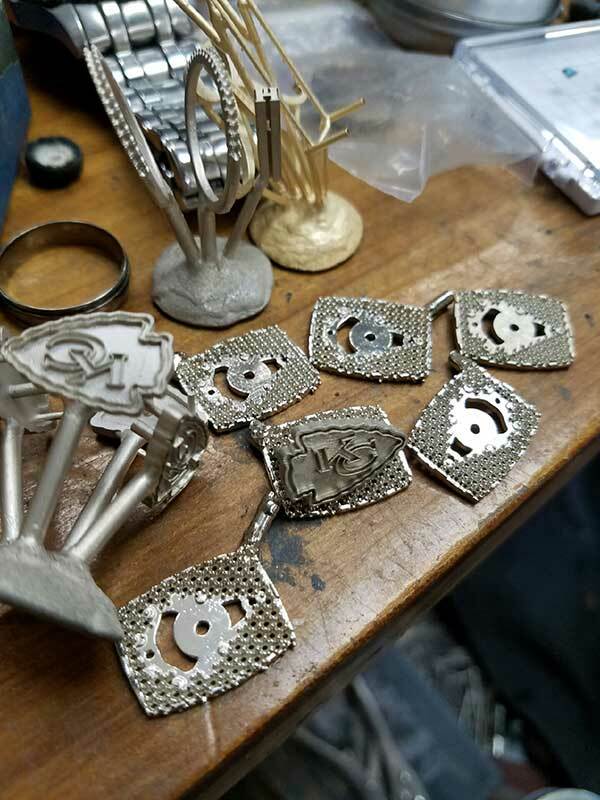 We’ve been building custom rings for the KC Chiefs Ambassadors for many years… but we’re REALLY looking forward to building a Superbowl Championship ring! 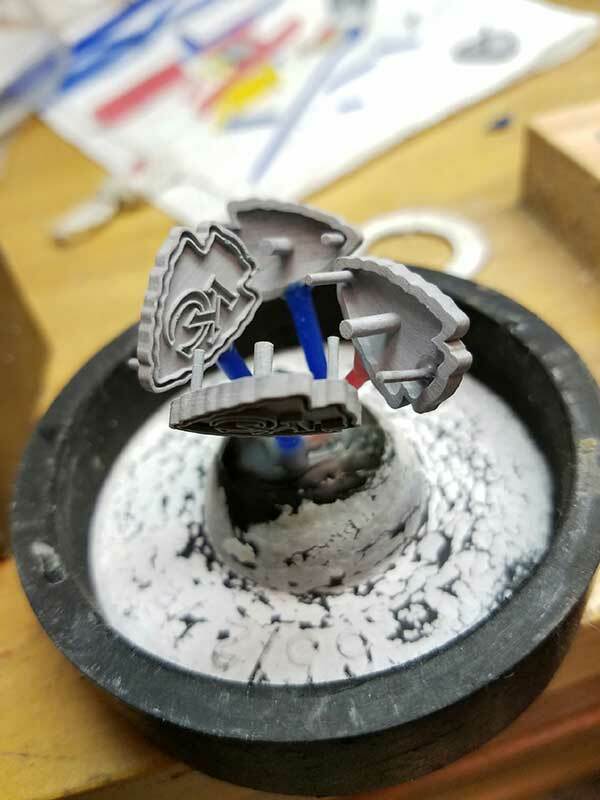 The photos below show you a few of the many stages we go through when custom designing and creating a ring.